We talk about almost every aspect of the airline industry on PilotJobs. The most popular articles however are the Flying the Line articles written by pilots in ATP’s vast alumni group. Some of my favorite Flying the Line articles have been written by ATP Alumnus and Major Airline Captain Chris Carey. Chris recently shared an experience with us and we want to share it with you. For many years, I flew international flights out of Newark. 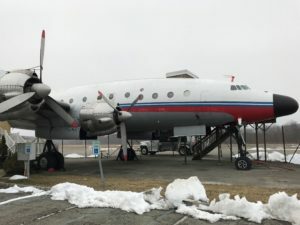 Many times on the return from Europe, we would fly over a small airport in Greenwood Lake, New Jersey, that had an old Lockheed Constellation parked on the ground. I always tried to see the Connie as we flew overhead and could usually pick it out by its distinctive triple tail design. Last spring, while driving through northern New Jersey, I saw a small sign that said Airport and an arrow pointing up a hill. I had a gut feeling that this was near Greenwood Lake, so I decided to follow the sign. At the end of the road was the Lockheed Constellation that I had seen so many times from the air, sitting rather gracefully in front of a small terminal building. Inside the terminal, I asked the rather unenthusiastic teenager behind the desk if it was possible to see the Connie. He replied that it was fine and that it was unlocked. On my way to the airplane there were a few signs that spoke of the airplane’s history. 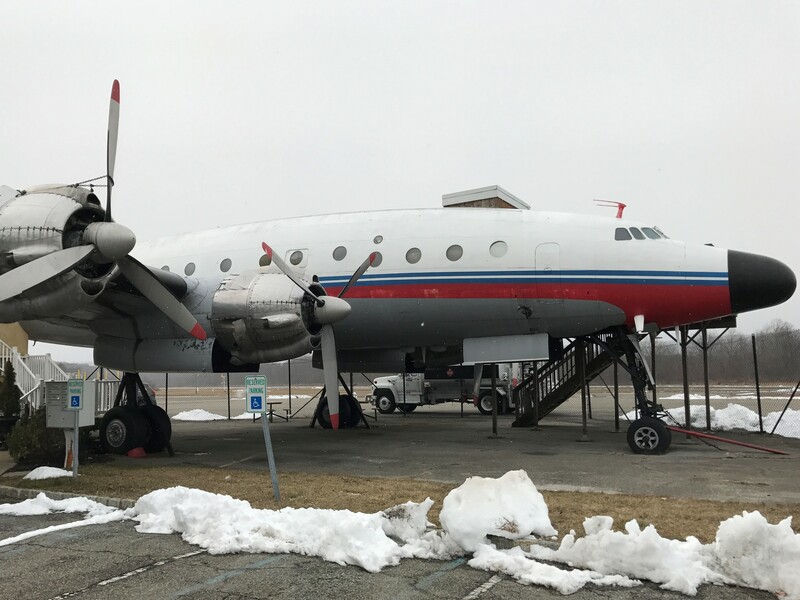 I was surprised to learn that this was a rather rare regular Constellation and not a “Super Connie” as most of the remaining ones are and that this particular aircraft had once been a TWA airplane. Then it dawned on me; I wasn’t about to walk onto just any old Constellation, I was about to set foot onto one that my Grandfather had undoubtedly flown many times during the course of his career at TWA. I was expecting to simply see an old airplane, but now the pending moment had taken on a whole new and unexpected significance. 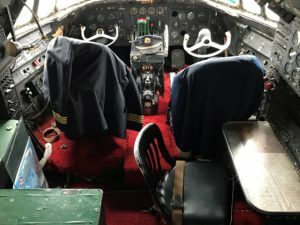 As I entered the airplane from the back of the fuselage I could see that the interior had been completely modified and was now the office of a flight school, but at the front there appeared to be a very intact cockpit. I made my way up to the flight deck and was awestruck by what I saw. The cockpit was very rudimentary, but also incredibly complex in that the Flight Engineer’s panel alone looked like it would take years of studying to fully understand. The pilot’s displays and controls were more familiar to me, but still looked very different. I stood for several moments at the small gate that separated the cabin from the cockpit, taking in the fact that I was looking at a cockpit that my Grandfather had most certainly sat in many times while crossing the Atlantic Ocean en route to London or Paris. 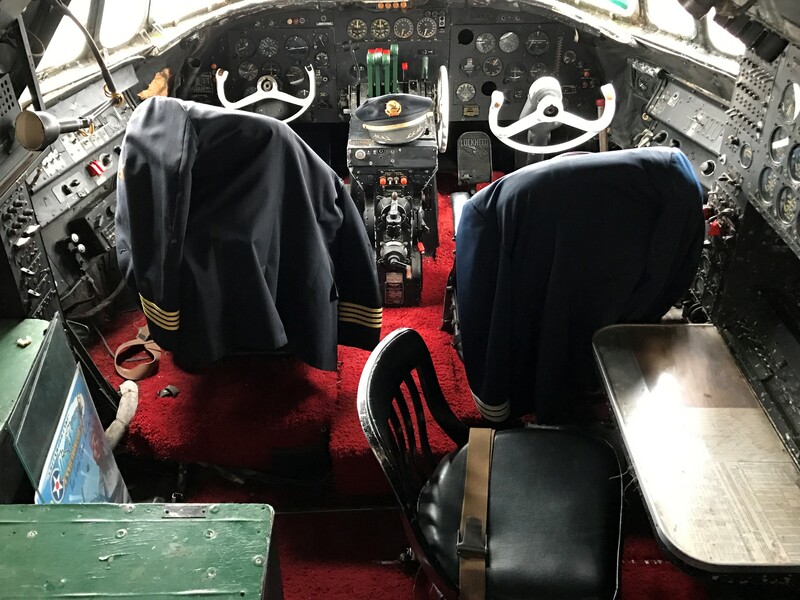 There was a small sign that said no admittance but I knew that this was my only chance to ever sit in the Captain’s seat of a Constellation and especially my Grandfather’s actual pilot seat, so I stepped over the gate and into another era. 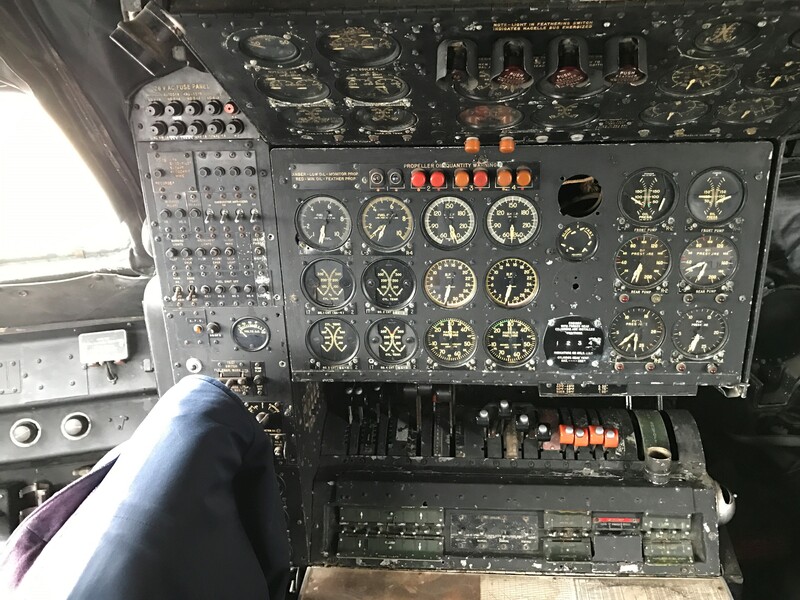 As I sank into the seat, I was overcome with pride that I was sitting in my Grandfather’s actual seat, grasping the same flight controls that he had on so many long nights out over the Atlantic. 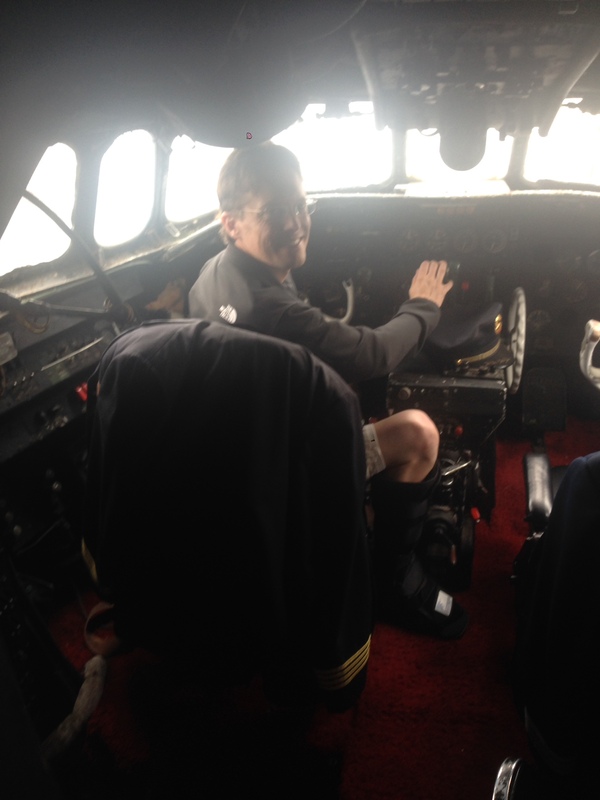 I sat in the seat for several minutes, trying to get a feel for what it would have been like to fly such a magnificent airplane on long, overseas flights. Then it occurred to me, that I too, was fortunate enough to have flown wonderful airplanes and had spent many a night crossing that very same Atlantic Ocean that my Grandfather had. We had looked at the same stars, the same Aurora Borealis and the same sunrises over the Irish Sea. The airplanes had advanced but the mission of flying people around the world safely had not changed one bit and I was incredibly proud to be following in my Grandfather’s and Father’s footsteps.